(Reuters) - Southwest Airlines Co cut its forecast for first-quarter revenue per seat mile on Wednesday, citing weak passenger demand and a $60 million hit to first-quarter sales from the longest partial U.S. government shutdown. On Wednesday, it quadrupled that for the full quarter and cut its growth estimate for unit revenue to a range of 3 percent to 4 percent from an earlier range of 4 percent to 5 percent. 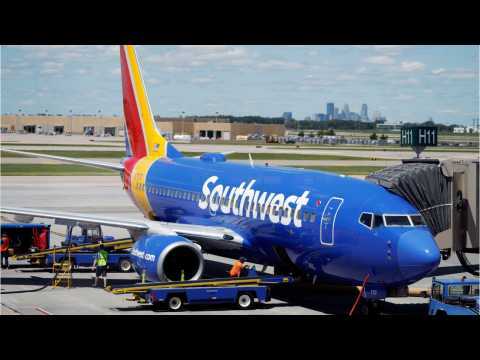 According to Reuters, shares for Southwest Airlines fell more than 5-percent due to a spike in flight cancellations. The low-cost air carrier said they are investigating the cause of the cancellations, which be involve a conflict with its mechanics union. On the day, Southwest stock dropped 5.7-percent, falling to $54.41 a share. But the Dallas-based airline was also forced to delay its planned Hawaii launch recently, due to the federal government shutdown, which also cut into its first-quarter revenue growth forecast. Caterpillar says it will bring in about a billion dollars less than expected this year and cut as many as 10,000 jobs by 2018. Bobbi Rebell reports.